Leading southern England care home provider Encore is expanding its portfolio with a new development in Poole, Dorset. The Oakdale 84-bed facility will be the fourth state of the art care home designed, built and opened by Encore in the last five years. Encore’s ambitious growth strategy entails opening three care homes a year. 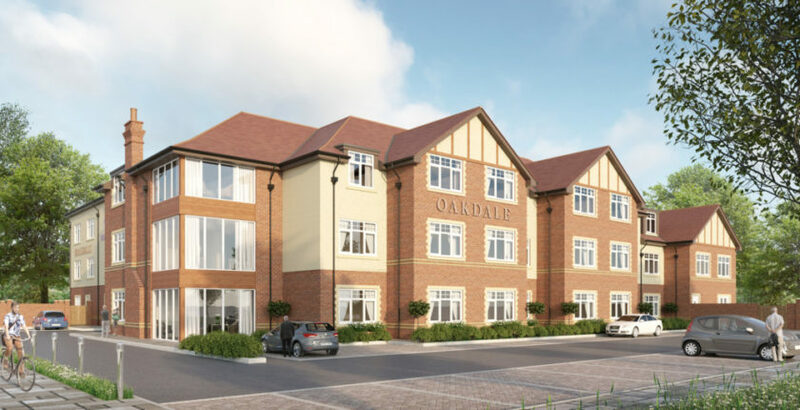 The Oakdale is set to open in summer 2019 with a property in Redhill launching in 2020. Encore is also applying for planning permission for sites in Pembury, Kent and Reading, Berkshire, as well as identifying other locations in the south. The Oakdale is being funded through an £8.8m development facility from Clydesdale Bank whose team are led by Senior Director of Health and Social Care Johnny Rowe. Johnny said: “Encore is at the cutting edge of its sector and has a service offering which brings something new to the market place. Its three care homes continue to go from strength to strength and The Oakdale will be a great addition to the portfolio, as well as expanding the care options in the Poole area.